Rosa Clará wedding gowns are known worldwide for their distinctive designs using the highest quality materials—from rich Duchess satins and raw silks embellished with beaded Chantilly lace, to silk piqués with ornately embroidered backs—each gown epitomizes opulent modern elegance. With humble beginnings in Barcelona, the brand catapulted to success when it partnered with influential haute couture designers, Christian Lacroix, Karl Lagerfeld, and Zuhair Murad, among others. Today, this distinctive brand is sold in 86 countries to the most exclusive showrooms. 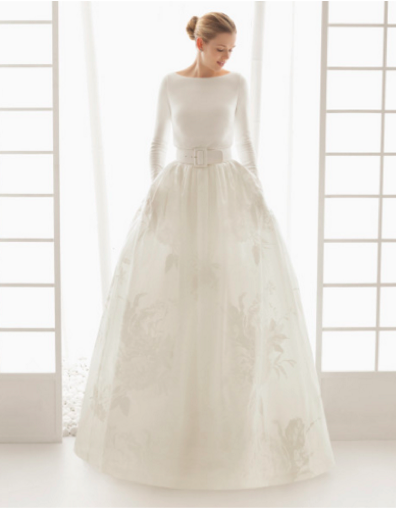 Popular among celebrity A-listers and discerning brides everywhere, a wedding gown by Rosa Clará is simultaneously ornate and elaborate, and classically simple. Musette Bridal is among the select showrooms to proudly carry the 2016 Rosa Clará bridal collection. 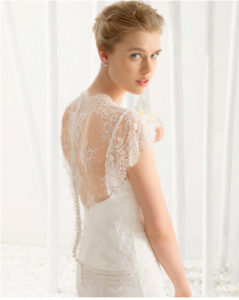 Be among the first to see this extraordinary trunk show from January 22-24, 2016. Here’s a sneak peek at the 2016 collection. Please note that all gowns shown here may not be featured in the trunk show. “Delfos” Mikado dress with beaded embroidered tulle back in ecru. Brocade dress dress with beaded embroidered tulle back in ecru. Ottoman dress with beaded embroidered tulle back in ecru. “Denise” Georgette dress with beadwork detail, in ecru. Crepe dress with beadwork detail, in ivory or ecru. “Denver” Crepe dress with beadwork detail in ivory (available in ecru). Raw silk dress with beadwork detail in ivory. 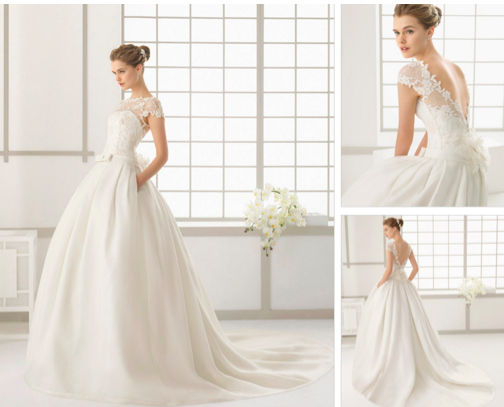 “Duero” Short corded and beaded lace and Chantilly gown and train, with Chantilly and tulle belt in ecru. 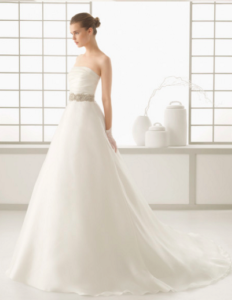 Long corded and beaded lace and Chantilly gown and train, with Chantilly and tulle belt in ecru. with you. Please call for an appointment and enjoy the experience for yourself: 617-424-1070. We look forward to seeing you!